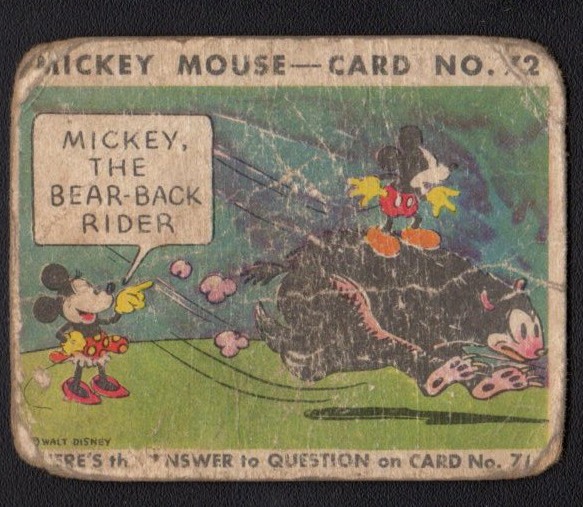 The 1935 Gum Inc. Mickey Mouse (R89) set features Walt Disney's Mickey Mouse in various cartoon situations! 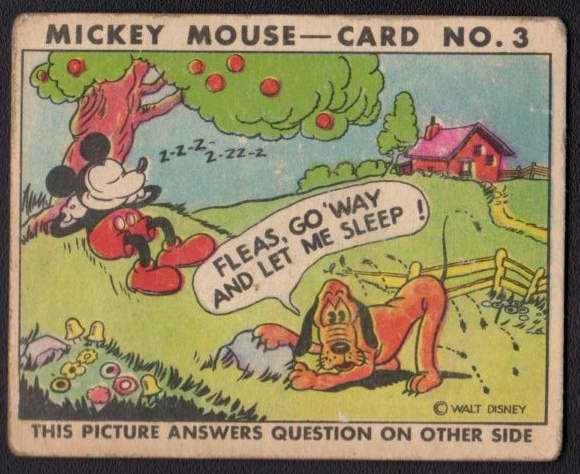 The set contains 96 cards and the cards were issued by Gum Inc. 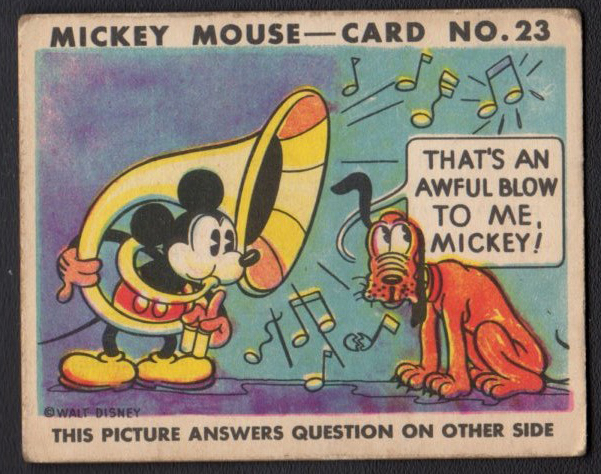 The cards measure 2-1/2" by 3-1/8" in size. 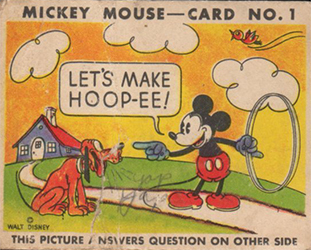 The fronts are full color drawings and the backs have questions and answers relating to the front pictures. 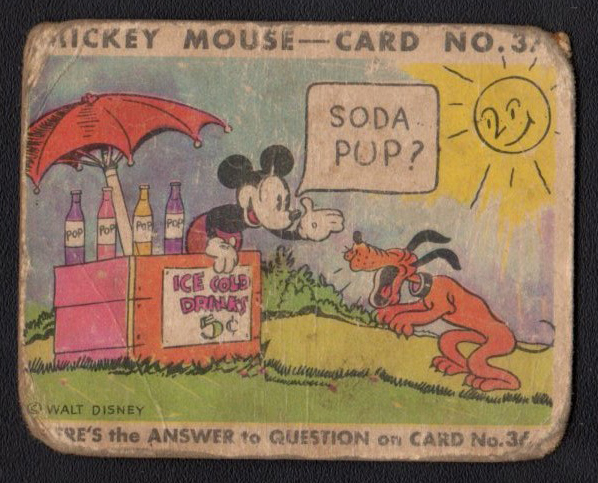 Card numbers 1-24 were issued in two types; Type I cards have the answers on the same card and Type II cards have the answers on a different card. One of the most popular of all non-sport issues! 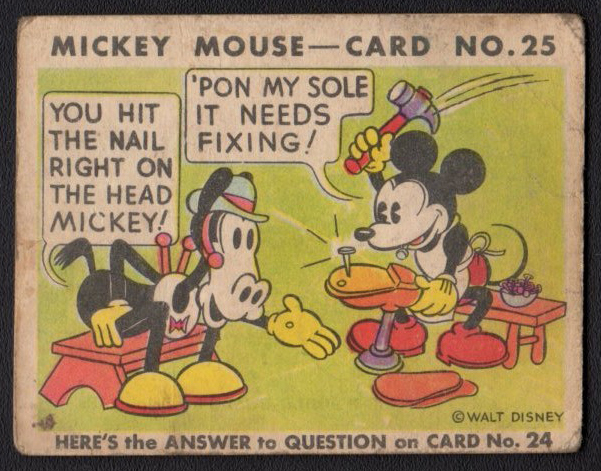 25 You hit the nail right on the head Mickey! 35 You can't make a monkey out of me! 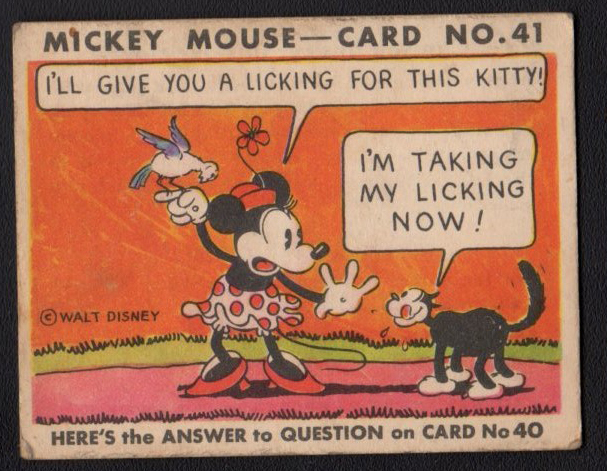 41 I'll give you a licking for this kitty! 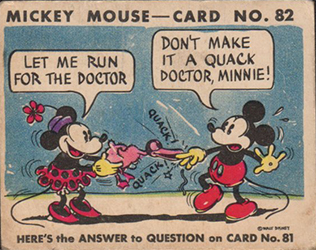 50 Beat it, Mickey! Drum for your life! 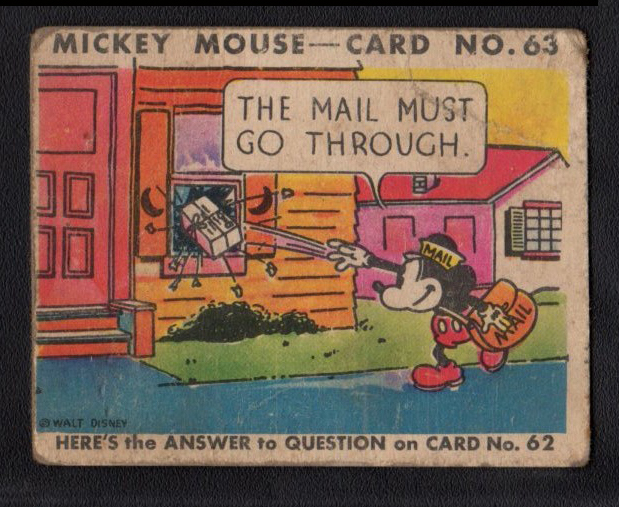 63 The mail must go through. 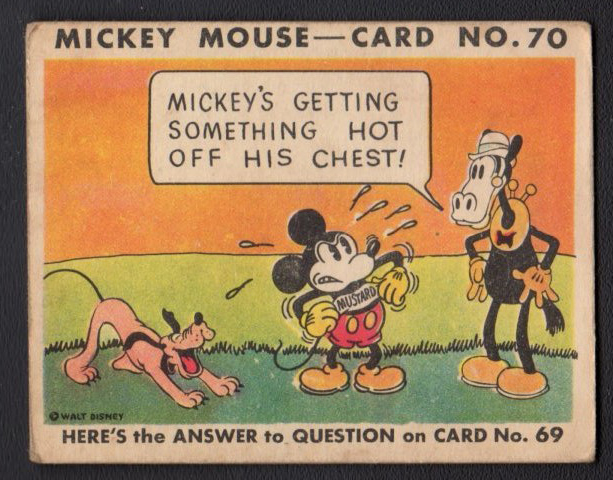 70 Mickey's getting something hot off his chest! 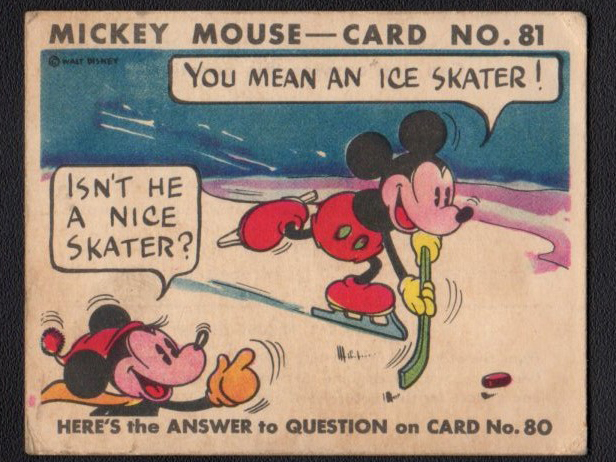 81 Isn't he a nice skater?